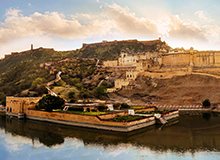 The capital of Rajasthan, Jaipur is one of the most loved destinations among domestic and international tourists alike. 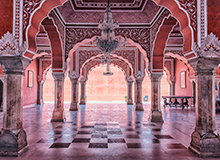 The Pink City, as it is fondly called, was founded in 1727 by the Rajput ruler Jai Singh II to accommodate the increasing population. Today, the city is known for its sheer grandeur, narrow bazaars oozing out vibrant colors, and folk performances that together give a glimpse into the lifestyle of the royalties. To capture such splendid sights, every year a swarm of tourists comes here. The city also calls businesspersons for it offers some rare handicrafts, fabrics and other stuff which is hard to find in other parts of the country. 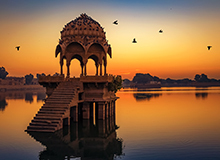 To meet the need for these leisure and business travelers, there are a number of heritage and modern accommodation options including luxury and 3 star hotels in Jaipur. Like other 40+ cities pan-India, FabHotels has several hotels in Jaipur as well. FabHotel Epic, FabHotel Padmavati Palace, FabHotel Sugan Niwas Palace and FabHotel Dior are some of the best hotels in Jaipur. From crisp linen, free Wi-Fi, TV with satellite connection, and clean bathroom, every need of a modern traveler is taken into account. While there is a lot to see in Jaipur, tourists should also go a little adventurous and try hot air ballooning. A day at Chokhi Dhani will also add to the fun quotient that one can experience. Besides its magnificent forts and opulent palaces, Jaipur is also popular for its beautifully done handicrafts and lip-smacking food. The Pink City sways millions of hearts away with its exquisite collection of bandhej sarees, jutis or mojaris, Thewa and Kundan jewelry, camel leather items and other artifacts. Jaipur bazaars also brim with vendors that offer aromatic, ghee-laced food that melt in the mouth. Everything from dal bati churma, kachoris, laal maas, and ghevar will steal the heart. In addition to street vendors, there are many charming restaurants that serve these and many more local favorites. 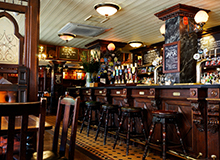 Owing to the humongous number of tourists who come to Jaipur from all over the world, the local nightlife scene is quite effervescent and energetic. Jaipur is well connected via all modes of transport as it is one of the most famous tourist destinations in the country. By Air:Jaipur International Airport in Sanganer hosts flights from all major Indian and international cities, including New Delhi, Mumbai, Bangalore, Bangkok, Dubai and Kuala Lumpur. FabHotel Royal Empire and FabHotel Prime Fleur are the most preferred hotels in Jaipur near airport. By Train: Jaipur Junction Railway Station that also serves as the headquarters of the North Western Railway zone connects the city to all neighboring and far-off destinations. Among the best hotels in Jaipur near railway station are FabHotel Sugan Niwas Palace and FabHotel Royal CM. In addition, the state capital has a smoothly operated metro rail network that further makes it convenient for travelers to commute within the city. By Road:Jaipur is approximately 270 km from New Delhi and can be reached via NH48. Why book FabHotels in Jaipur? In a city where most hotels charge extremely high rates, FabHotels offers comfortable accommodation without burning a hole in your pocket. We already have several budget hotels in Jaipur in prominent localities, such as C Scheme, Jawahar Circle and Bani Park that are close to popular attractions and transit hubs. Well-equipped rooms and complimentary Wi-Fi access are common features of all our economy hotels in Jaipur. While scouring our Jaipur hotels list, you will find several hotels that allow check-in to unmarried couples in Jaipur. By making online hotel booking in Jaipur on our user-friendly mobile app or website, you can avail a number of exciting hotel booking offers and deals. "Every thing especially the food -food was excellent and staff very caring"
"Excellent customer care and breakfast"
"Great service throughout. Excellent BF"
"Great room Hygiene & cleanliness and Great staff and Good check In experience"
"It was a wonderful stay with delicious food." "It's one the best buget properties i"
"This was my second stay at this hotel and very comfortable.Plenty choice at breakfast and attentive staff." "Very nice stay, & friendly staff , so happy stay here ....."
"Front office staff have very good behaviour ........."
"Good experience reception staff and good quality food and breakfast all staff is good experiences"
"All the staffs were extremely helpful." "Nice staff, clean room and i will recomand fabhotels to others"
"Awesome stay with fab hotel,good room and Definitely i will recomand to others"
"Front office manager have very good behaviour with us . Great food test and Breakfast Quality is very Good ." "Nice and clean room and awesome stay with fab hotel"
"Excellent location. Well connected with all other important locations . Clean and comfortable property. Very nice and helpful staff. Overall a very comfortable stay." Q:What is the best time to visit Jaipur? A: The best time to visit Jaipur is in winters between October and March. Q:Which are the must see places to visit in Jaipur? 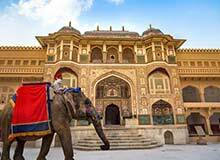 A: Jaipur is known for its grand monuments that give a glimpse into its glorious Rajput history, and its cultural centers. 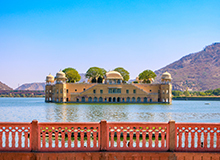 The must-see places in the city are Amer Fort, Hawa Mahal, City Palace, Jantar Mantar, Albert Hall Museum and Chokhi Dhani. Q:How can I avail best discounted prices on hotels in Jaipur? A: To book a room at the discounted price at hotels in Jaipur, click here. Q:Can unmarried couples stay in hotels in Jaipur? A: Yes. Please check out all hotels in Jaipur for unmarried couples here. Yes, we have a Jaipur hotel booking app for Android and iOS platforms. Our Jaipur hotel booking app offers seamless booking experience, quick and safe transactions, and a range of deals and discounts. Search for FabHotels hotel booking app in Google Playstore or App Store today to save on 400+ hotels pan-India. Q:What is the process to find hotels in C Scheme Jaipur? A: To find the hotels in C scheme Jaipur, click here and choose any hotel of your choice. Due to its central location, proximity to Jaipur Railway Station and modern amenities, hotels in Bani Park are a preferred place to stay. 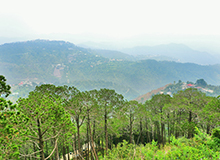 The good family hotels in Bani Park include FabHotel Royal CM and FabHotel Amer City Heritage. Q:How do I book hotels in Jaipur near the Railway Station? 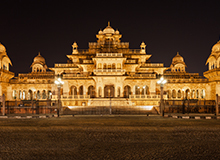 A: To book hotel near Jaipur railway station, click here and choose any hotel of your choice. 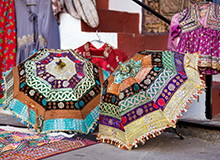 Q:Which are the best markets to buy jewelry and handicraft items in Jaipur? A: The best markets to buy jewelry and handicrafts in Jaipur are Johari Bazaar, Tripolia Bazaar, Bapu Bazaar, Chandpole Bazaar, Mirza Ismail Road and Gaurav Tower. Q:Which are the best budget hotel accommodations near Sitapura? A: Being an industrial area, Sitapura is a highly sought-after locality to stay among business travelers. FabHotel Saneer Jaipur Airport and FabHotel Padmavati Palace are the best budget hotels near Sitapura. Q:Which are the hotels in Jaipur with a budget of 1000? A:FabHotels offers accommodation in all major cities in India at the best possible prices. FabExpress Jaipur House, FabExpress Harpalsar Havelli and FabHotel Dior are amongst the best low-budget hotels which can be booked under 1000.